Bonaly Farm Dairy provide dairy products and deliver them on a daily basis to a variety of domestic and commerical industries. Milk is supplied by local Scottish producers including a substantial amount from Donald's own accredited herd at the Murray's Farm Pathhead. We are the dairy all take enormous pride in the good name of Bonaly Farm Dairy and continue to expand our customer base whilst upholding our renowned reputation of exceptional service. 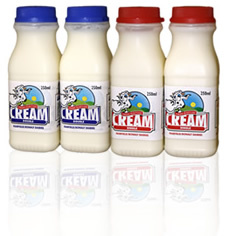 We pride ourselves in our expertise and are happy to advise on all aspects of dairy produce, we always try to accommodate customer requirements, when this is not possible, an alternative or compromise is actively sought.